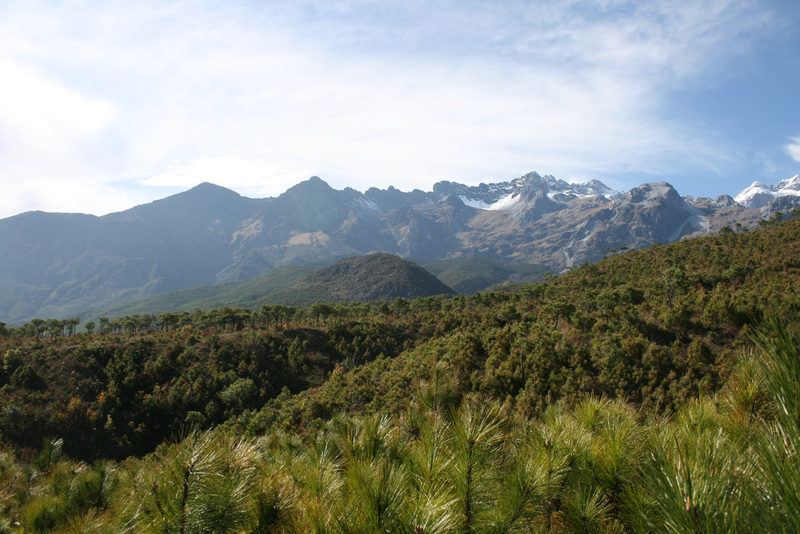 After a fire in 1999 one thousand hectares of pine trees were planted on the slope of Jade Dragon Snow Mountain, to prevent erosion and to protect the important watershed. Professor Jintao Xu did not really plan to become an environmental economist. From the beginning it was just by accident. 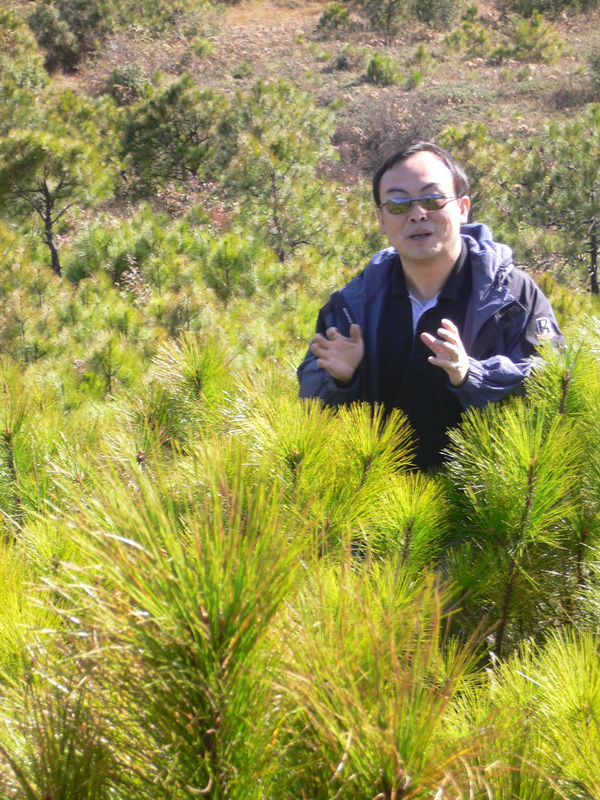 Today Xu is one of China´s most prominent experts in forestry economics and also the coordinator of EfD in China. To be a forest economist in China means to witness a lot of problems. But this is also one of the best parts of it, according to Professor Xu. Forest Tenure Reform in China’s collective forests is a process of historical importance with widespread and long-lasting impacts. It sets the institutional foundation for sustainable economic development and forest resource use in China’s mountainous and forest areas, leading to the most profound changes in the New Countryside Development Initiative, launched by the Chinese government in 2005. "Most of the works by EfD in China, or the Environmental Economics Program in China, EEPC, focus on forest policy, in recent years on reformation of the state forest sector and the collective tenure system", says Professor Jintao Xu. These two themes have been top priority on the agenda of the central government and have merged into the broader national agenda of establishing a new countryside. The first round of the forestry tenure reform took place in 1981-1982. The purpose of the reform was to establish individual household management and to improve farmers´ livelihood by improving their incomes. Before that, collective forest management by village leaders was predominant. Harvest was handled by villagers, but timber must been sold to state owned timber companies. This was changed with the refom. Though, at the same time, large-scale harvest took place, and the government was concerned about this over-harvesting. Many members of the government were against the reform, which made it slow down. It was put to a halt in 1987, but then restarted again in 2003. ”By 2000, China was a different society than twenty years earlier. The changes now received universal support,” says Professor Xu. Around seventy percent of collectively owned forest land was managed by households after the reform in early 1980s. The province of Fujian had not fully participated in the previous reform, but started in 2003. Many provinces followed. Before the end of 2007, forteen provinces had re-allocated forestry lands. From a poverty alleviation aspect, the reform has had some success. In areas where the reform has been aggressively implemented, farmers’ incomes from forestry have increased significantly. In Fujian, for instance, farmers’ income from forestry increased from 5 to 12 percent from 2000 to 2005, due to harvest of timber, fruits, and mushrooms. ”The next step is follow-up policies for reformation of harvest management policy, land transfer, and credit systems. One remaining challenge is to reform state-owned forest,” says Professor Xu. Forty percent of China’s forestry land is state-owned and so is seventy per cent of the tree volume. This means that state-owned forests have much greater value than household owned forests. However, the state management is inefficient and doesn’t make much money. State-owned forests get funding from the Natural Forest Protection Program. The task of the program is to transform the management and make it efficient and sustainable.